But we failed. At least we got a pretty picture! If anyone knows the secret to making an artichoke, please impart your knowledge to me. 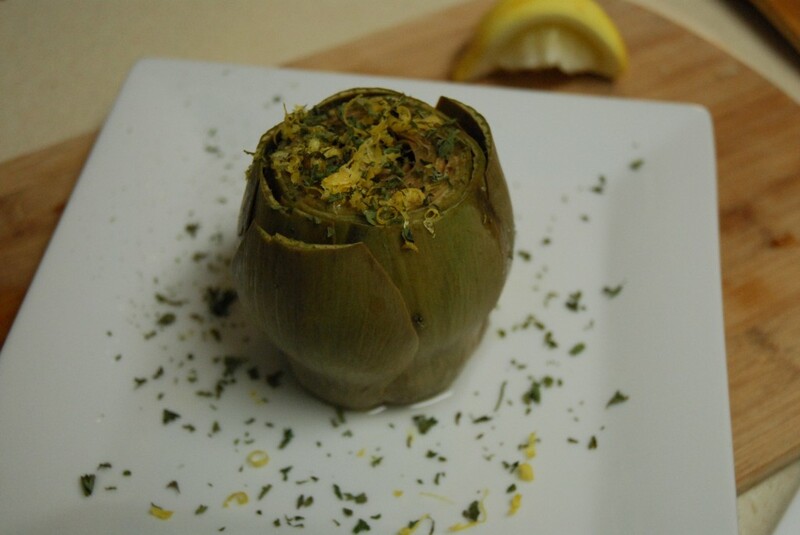 This is our second time attempting to make artichokes – they never end up edible! Maybe it’s because I used to tell people I was allergic to artichokes (as well as most other vegetables!). It took a lot to get me to even think about trying an artichoke – maybe it’s just not meant to be. It took a lot to get me to try fish for the first time, too. I still don’t like “fishy” fish. 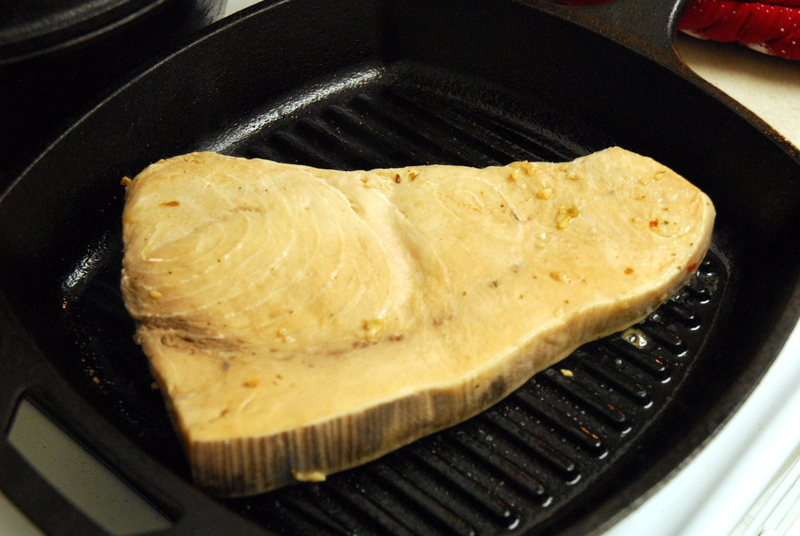 My favorite fish now are seared tuna and swordfish, but I am trying to expand my fish palate. One of my requirements for fish is that it has to have a lot of flavor. Usually, this is in the form of a tasty sauce. Yesterday, I decided to change it up and see if I could like a fish that had a tasty marinade. It was a success! 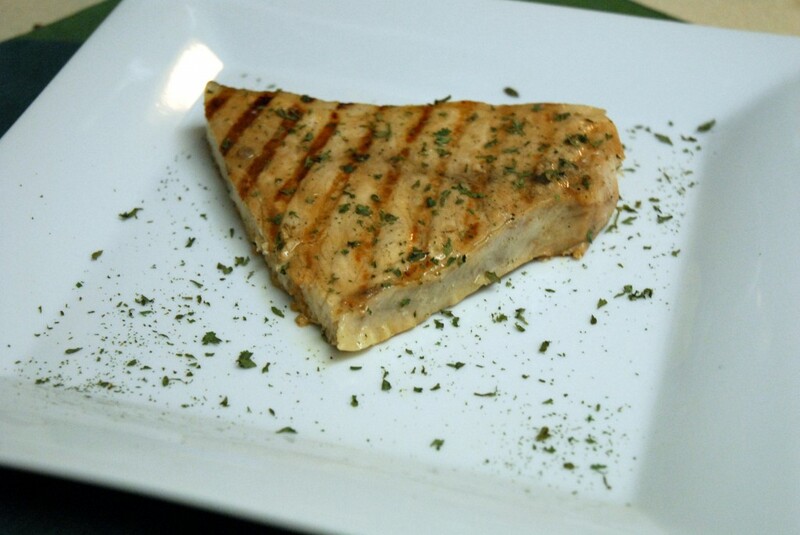 Good marinades are so easy because all you do is throw a few ingredients together, leave the meat for a while and cook it. This is one that you’re going to want to try! We used a grill pan inside because we, unfortunately, do not have an outdoor grill. 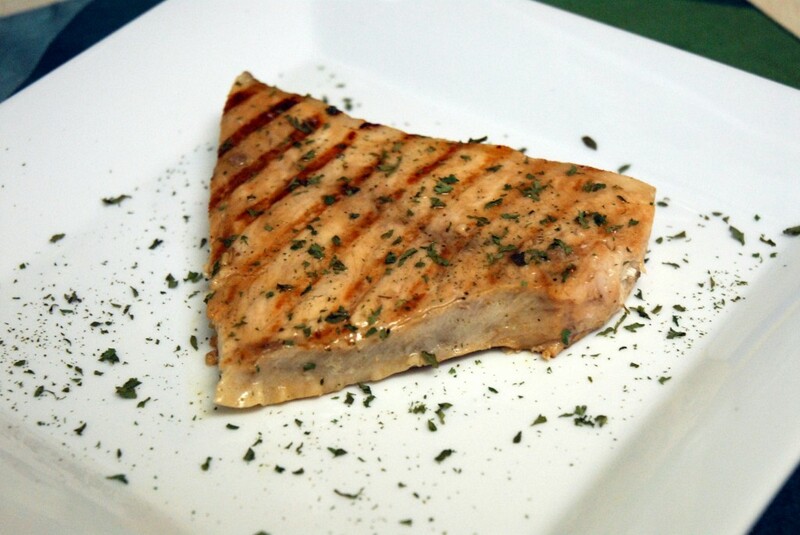 Just grill your marinated fish over medium high heat for about 5 minutes. Flip and grill for another 5 minutes. And you’re done – enjoy! Mix wine, lemon juice, soy sauce, olive oil, chicken seasoning, salt and pepper in a large tupperware (or some other container that will fit in your fridge to marinate the fish in). Put the fish in the container. Make sure it is well coated and place it in the fridge. Marinate for a few hours, flipping a couple times if you can. I suggest putting it together in the morning and marinating it throughout the day. 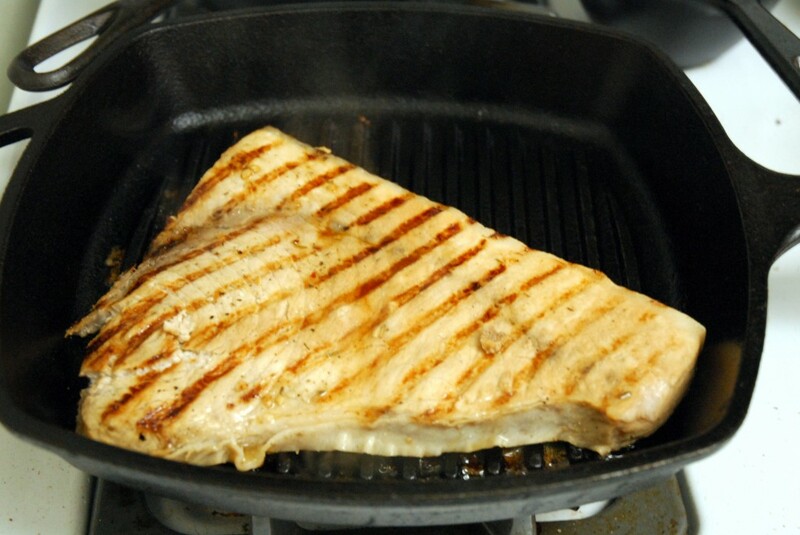 When ready, heat up an oiled grill pan (or grill) to medium high heat and cook for about 5 minutes on each side. My recipe for barley risotto is coming later today – it was the perfect side dish! 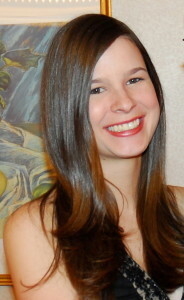 This entry was posted in Fish, Gluten-free, Recipes and tagged artichoke, fish, gluten-free, grilled, marinade, swordfish. Bookmark the permalink.